Here is my recommendation: go to Vietnam. Ideally you will (finish reading this post and then) drop whatever else you have to do and start getting the details together for you trip. Yes, it is that good. The food is incredible, the people are friendly, the cities are nice, the landscape is beautiful, and it is very cheap. In fact, it is the cheapest place we’ve been all year in addition to being the best. We came into Ho Chi Minh City, formerly Saigon, on a bus from Phnom Penh that traversed the upper portion of the Mekong Delta. It was already evening when we arrived and we walked from the bus company office to our hotel through the neon-lit dark along the busy and crowded sidewalks. 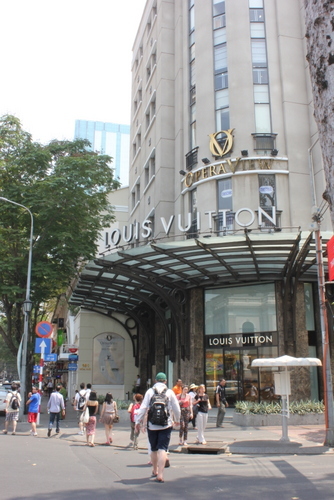 The next day we headed out to walk the streets of HCMC. Our first stop was the Ben Tanh Market, full of restaurant stalls, tourist knickknacks, coffee, and clothing. 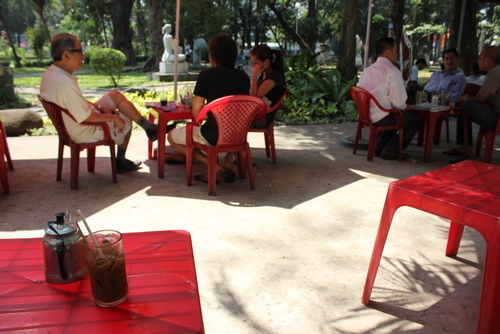 From there we headed up toward the War Remnants Museum but happened upon a café in a park along the way and stopped for our first ca phe sua da, iced coffee with sweetened condensed milk. HCMC had many such lovely parks and green spaces with lots of public art. After the café we headed up to the museum to find it closed for lunch, so we wandered to find some food of our own and had our first banh mi and banh xeo. For a lot more about Vietnamese food see Bowen’s blog, but here are a couple of thought from me: there are lots of lots of things called banh, which supposedly means something like cake, and they don’t seem to have much in common (but they’re all Vietnamese food, so they’re pretty much all delicious); we ate a lot of banh mi our first week but, while they were mostly pretty good, none were quite as good as the ones we used to have in Rosemead. 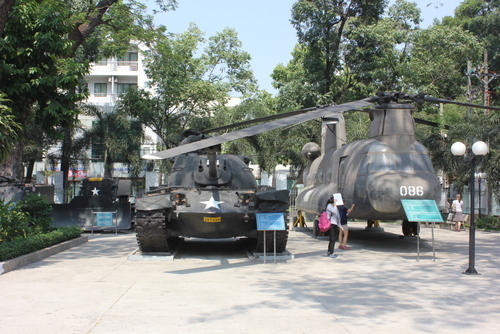 After lunch we returned to the War Remnants Museum, which featured US armaments left at the end of the war, models of the French and American prisons where Vietnamese were held, and lots of photos and exhibits. Much of it had a strong propaganda slant, but it was none-the-less heartbreaking to be reminded of the huge cost of the war on both sides. We spent the rest of the afternoon wandering the streets and relaxing. In the evening we sat drinking beer in a café on the street and then had incredible pho for dinner. 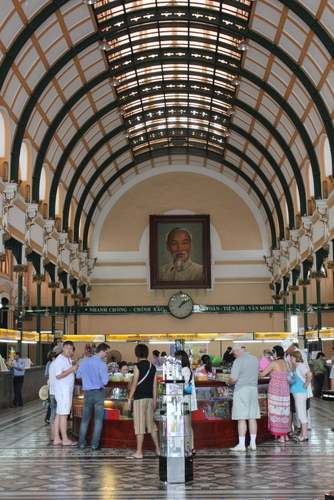 Our second and final day in HCMC was a day of wandering. We saw the river front, the opera house, the post office, the cathedral and many other lovely sites. If I needed any more evidence that the Vietnam War wasn’t a good use of resources, we sat on a bench in front of the Opera House, about two blocks from the People’s Committee Hall looking at posters celebrating the recent awards for small businesses; to my right was a Louis Vuitton store, and to my left was a restaurant called, I kid you not, Le Bourgeois. 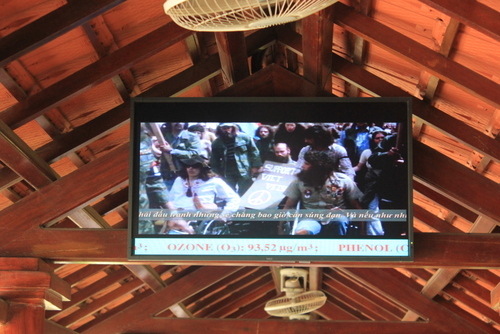 That evening we took an overnight bus to Nha Trang, a beach town up the coast. 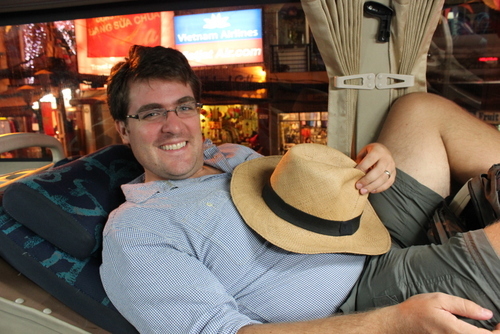 Many of the overnight buses in Vietnam, unlike the buses in other countries, we set up with reclining bunk bed-style seats. 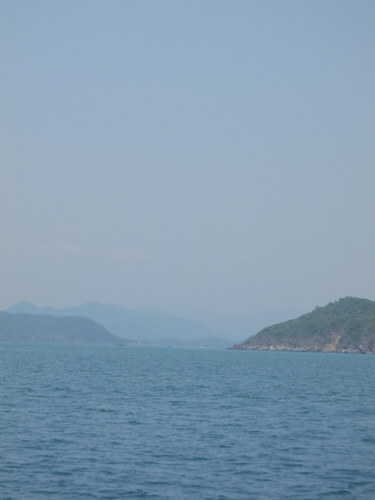 Nha Trang was a great place to spend a few days relaxing. We spent one whole day relaxing at the beach in front of the Louisiane Brewing Company (celebrating International Women’s Day, which is a significant holiday in Vietnam), and another day on a snorkeling trip in the bay. We also at the best Pho of our trip. 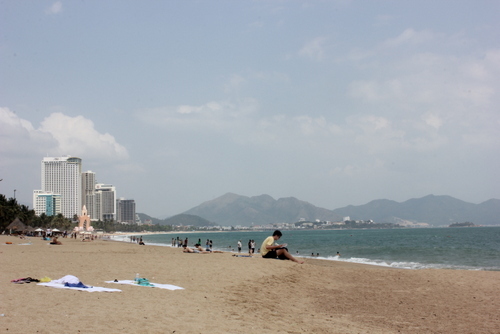 The strangest thing about Nha Trang is that is appears to be the Russian equivalent of Cabo or Cancún. Unlike the rest of the country, we saw loads of Russians all over town and almost all the signage was in Russian. This made for an extra interesting day at the beach surrounded by burly Russian men pounding liters of beer at 10 a.m., and even one doing pull-ups on the support beam of his palapa. 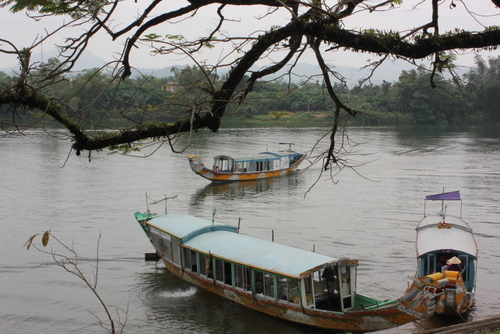 After Nha Trang we took another night bus up to Hoi An. 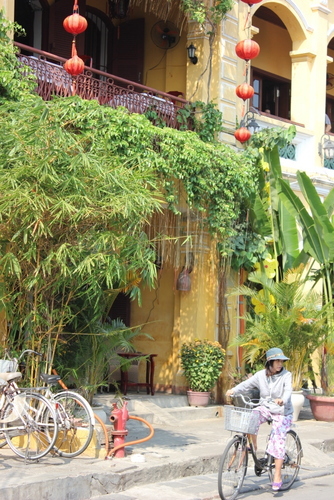 Hoi An is a lovely little town that was a major trading port until the river silted up in the mid 19th century. It’s kept its small-town charm, but become a major tourist destination in the past decade. During much of the day parts of the old town are closed to motor vehicles so that biking and walking are more convenient. 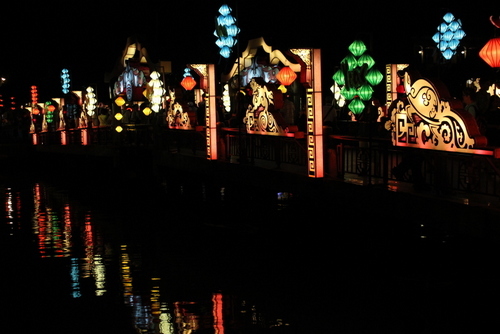 At night many businesses light beautiful silk lanterns out on the street, and tourists buy candles in little paper boats to float on the river. 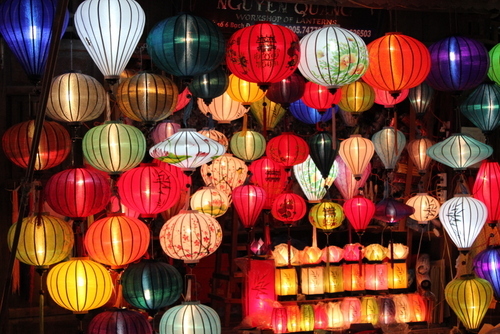 Hoi An is also a major center for custom clothes production and has hundreds of small tailor and cobbler shops. We had some of the best looking and cheapest clothes we’ve ever owned made for us while we were there. 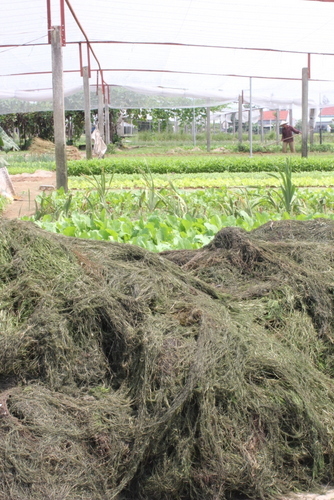 We had a wonderful time roaming the town, biking around the countryside to a village that grows herbs using seaweed for fertilizer, and eating fantastic food. 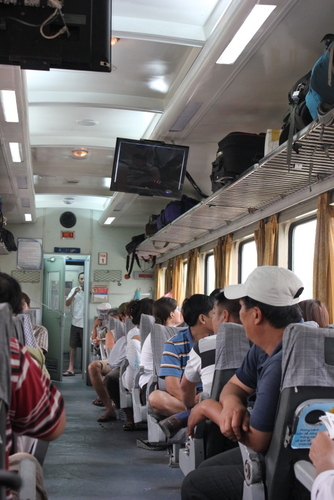 We took the bus from Hoi An up to Danang, and then the train from there to Hue. The train trip was an interesting experience in its own right, and much less cushy than we had expected. It was crowded, and pretty run down, but took us through a really beautiful stretch of country. 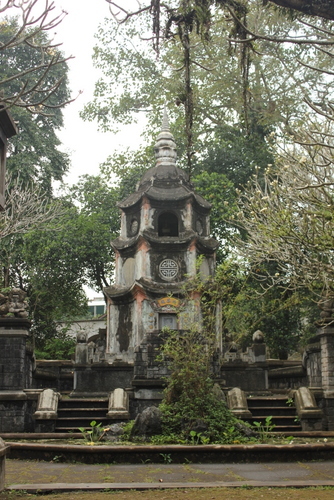 Bowen had come down with a cold, so her time in Hue was mostly spent recovering. But I got out and saw some more of the neat sights. 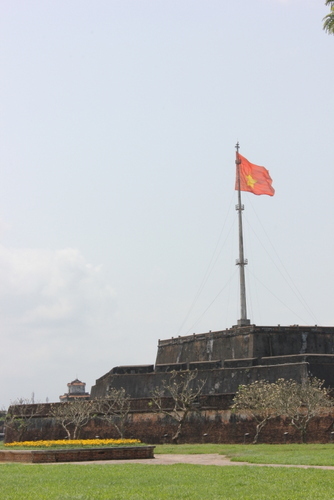 Hue was the capitol city of the Nguyen Emperors, and so has many great historical sites. 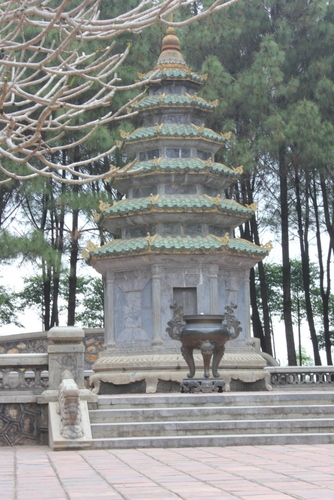 I biked around to a couple of really beautiful pagodas, and on our last day Bowen and I explored the old Citadel. Our trip up to Hanoi was another overnight bus trip, and got us into the capitol early in the morning. We promptly got scammed by two different cabs that had meters running fast (but we were only out about 3 extra dollars). 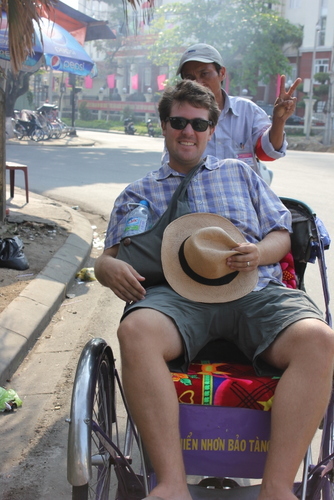 Hanoi is a great city for wandering, eating, and drinking. 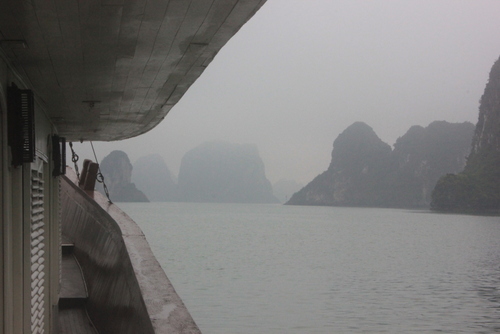 We spent much of our first day setting up a tour of Halong Bay, and wandering the town. 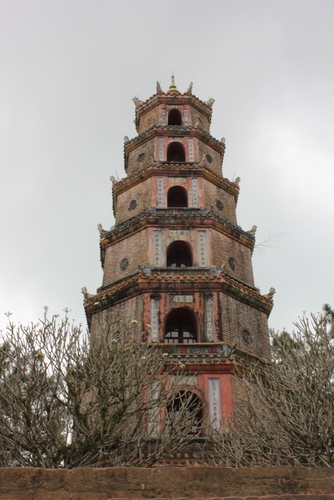 We checked out the Ngoc Son temple, and drank delicious coffee on the smallest balcony I’ve ever seen. In the evening we had our first experience with Bia Hoi, fresh beer (I had had some in Hoi An, but this was our first together). 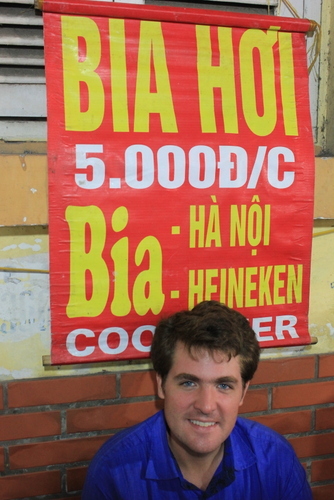 Bia Hoi is supposedly made fresh every day, is very refreshing, quite tasty, and dirt cheap. We sat in little plastic chairs along the edge of bustling intersection and drank it for 25-30 cents while watching the world go by. This was a ritual we continued each night in Hanoi. 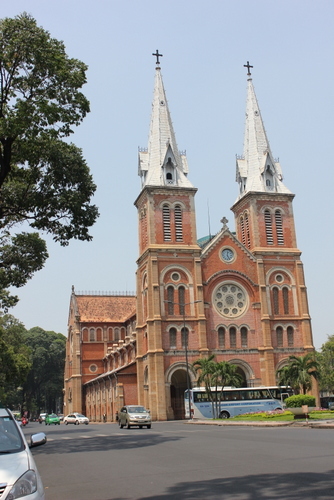 Our second day we visited the Cathedral, the Hanoi Hilton prison museum, and had our first taste of Bun Cha, a heavenly mix of grilled pork patties, pork belly, and green papaya in a soup of sweetened fish sauce, served with vermicelli noodles, lettuce, and herbs. 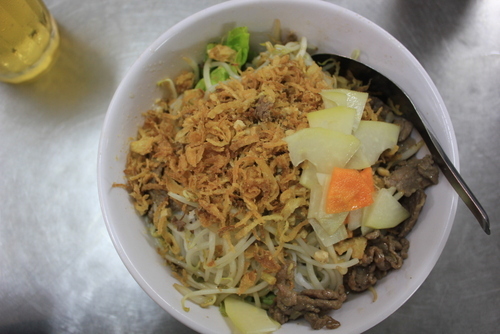 For dinner, we had our first taste of Bun Bo Nam Bo, fried beef and bean sprouts over vermicelli with green papaya, noodles, roasted peanuts, and fish sauce. Delicious beer! For 25 cents! Why am I not eating Bun Bo Nam Bo right now? The next morning we headed by bus to Halong Bay for a two-day excursion. 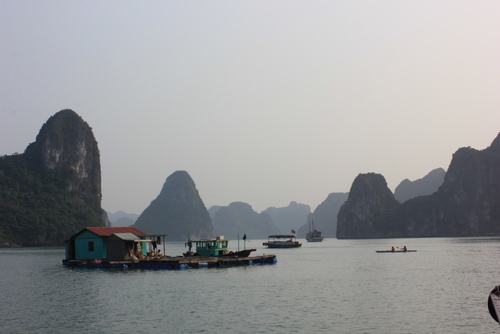 Halong Bay is an incredibly scenic area with limestone karsts rising out of the bay. On the first day we kayaked around a small floating village and through sea caves, and had a cooking demonstration in which we made the spring rolls for dinner. In the evening, we watched the sunset over the karsts and were bombarded by local women in large floating baskets trying to sell us beer and snacks. I took a lovely swim in the bay. The next day we hiked to the top of one of the islands, named after a Russian cosmonaut who visited the area with Ho Chi Minh, for great views of the surrounding areas. 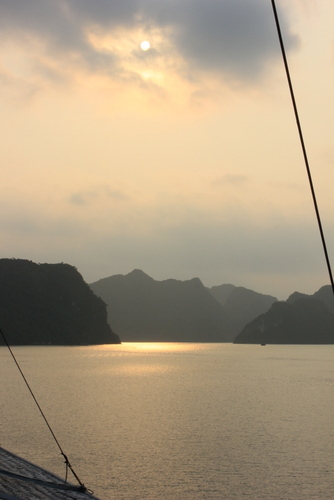 There are about 2000 islands in Halong Bay, most of them tiny, and about half of them named. 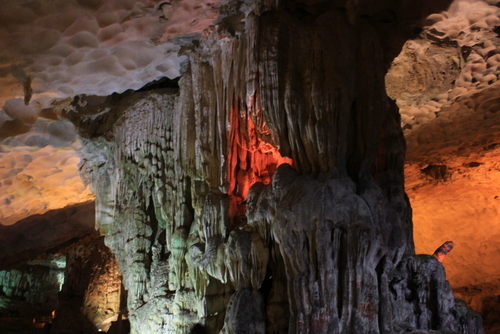 After our climb, we visited the Amazing Cave, which was pretty neat and much less hokey than we expected. 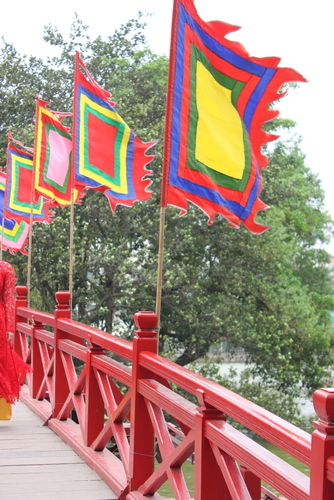 Then it was time to return to Hanoi. Where we had Bun Bo Nam Bo for dinner again. 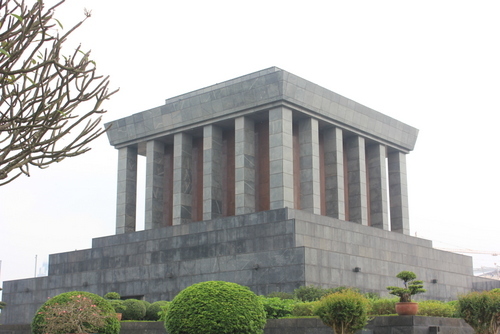 Our last day in Vietnam we visited Ho Chi Minh’s mausoleum. We arrived about 15 minutes before it opened to a line that was roughly a kilometer long. 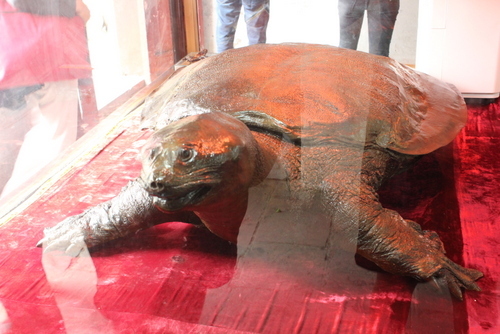 His body, embalmed and on display against his previously-declared wishes, is on display nine months a year, but takes a three month trip to Russia each year for maintenance. 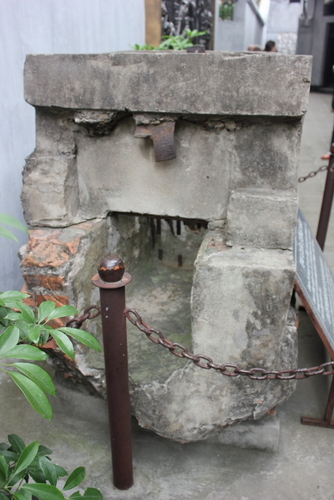 As we shuffled by through the eerie crypt, many of the old women were crying quietly. The man has been dead for over 50 years, but still draws a major crowd and endears a very emotional response on an average day. We also viewed the homes he lived in during his presidency and the One Lotus Pagoda. 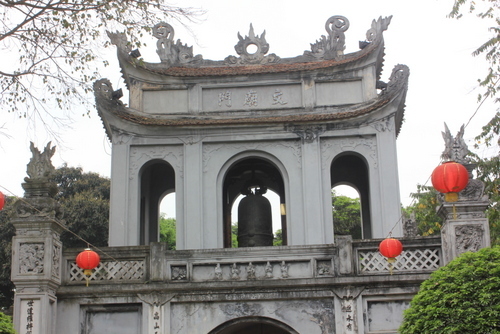 Then we visited the Temple of Literature. 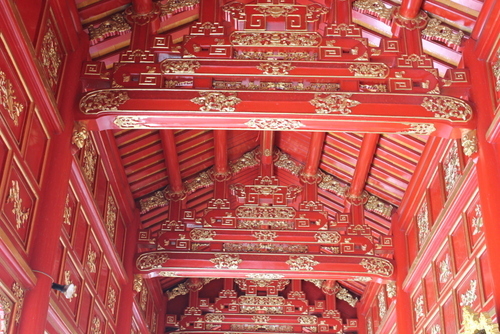 The temple is over 900 years old, and housed the country’s first university to train men for the imperial public service exams. We then had Bun Cha for lunch, wandered the city some more, had Bun Bo Nam Bo for dinner, and went out for Bia Hoi (are you sensing a pattern here?). 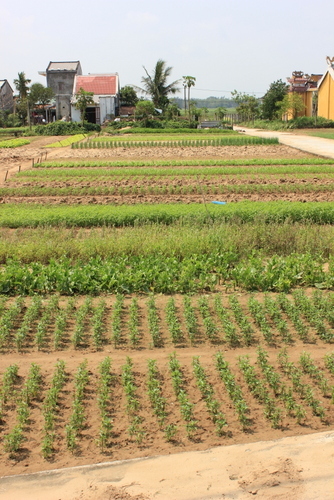 As I said at the outset, Vietnam is incredible. My main disappointment was that the security guard at the airport confiscated my fork. We can’t wait to go back. Maybe we can meet you there.